I was a bit of a goody two shoes when it came to school. Generally speaking, I did all of my homework, got brilliant grades, behaved in class and only ever had one detention - but there was one time I thought I was surely going to be kicked out of the school and never allowed back in again. I was probably about thirteen, only in year seven and in the home economics room working on a "prac". "Pracs" were just practical lessons where we actually got to cook instead of talk about the theory behind it or work on boring classwork. Naturally, prac lessons were my favourite. I've always been someone who loved to bake and cooked so I loved being able to bake and cook and call it "school work" - but on this day, I thought my life was ruined. Here was little Kristy and her food tech partners, baking up a batch of deeeeeeeeeeelicious biscotti and all was right with the world - until we began to cut it. We were using electric knives to saw through the biscotti's thick crust and all of a sudden plumes of black smoke began to billow out of the back of my knife. Oh no, oh no! She's going to kill me - I've broken the school's knife. I started to panic internally.... what do I do? Do I put the knife back in the drawer calmly and pretend like nothing ever happened? Oh no wait, it might set on fire - and then the whole school would be set on fire and it would be all my fault - and surely those police detectives would be able to trace the clues and find my fingerprints on the knife, wouldn't they? 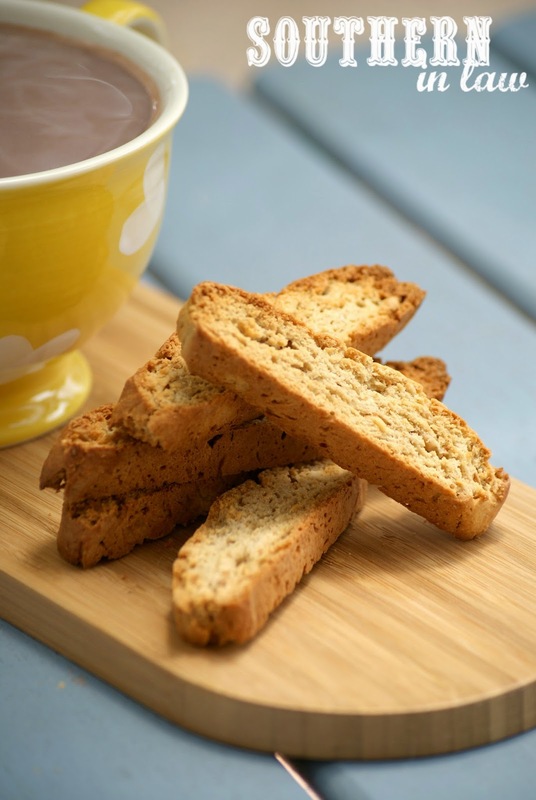 I didn't get kicked out of school and the teacher laughed at my panic over an ancient electric knife - but after all that fuss I decided that I would never ever make biscotti again because, whilst delicious, I wasn't going to take my chances with breaking something else. Well... that never ever lasted quite some time - but a couple of months ago I decided to try my hand at biscotti again and had some deeeeeeeeeeeelicious successes. 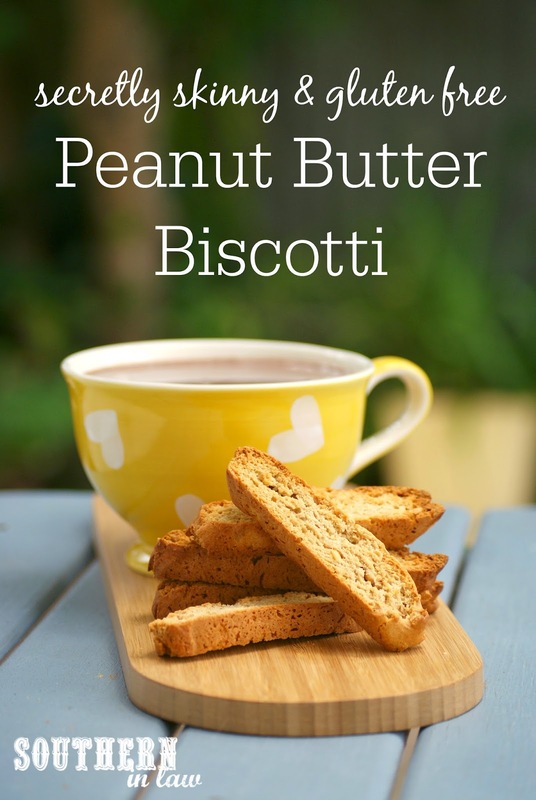 This recipe is ridiculously delicious and won't break your knife - instead, you'll find you have delicious jhealthy peanut butter biscotti in no time at all that's ready to dunk into your favourite cup of tea or coffee or devoured on its own. 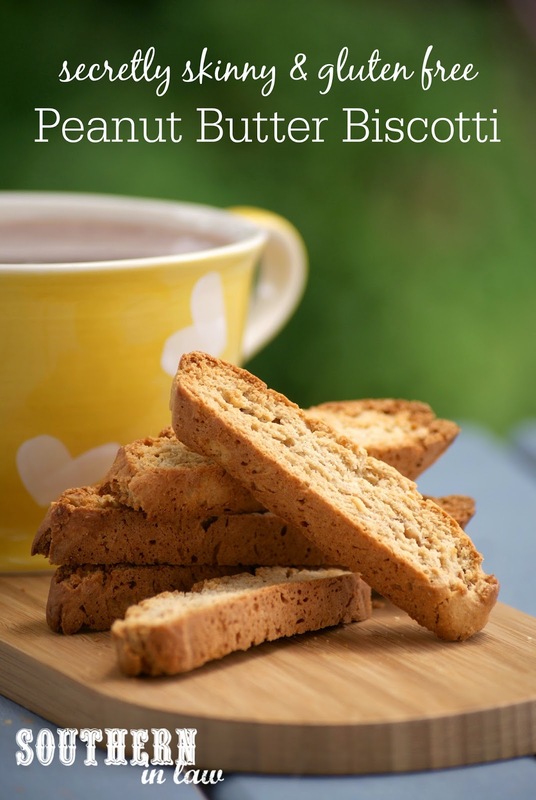 These aren't super sweet (though there is the option below to make them sweeter) but they are justttttt right and super crunchy with a delicious peanut butter flavour. Dip them in chocolate for a special treat or leave them as is - the choice is yours! Sift your flours into a medium mixing bowl, along with your baking powder, and set aside. In a bowl, mix together your peanut butter, sugar, vanilla, egg and egg whites until combined (you may also use a food processor/blender/mixer if you don't want to mix by hand) and then add in your dry ingredients. Mix until a soft dough is formed and shape into two long log shapes on your baking sheet (each about 2-3 inches wide and 1 inch high). Bake for 15-20 minutes or until lightly golden and a crust begins to form on the outside. Leave your cookie logs to cool for about 10 minutes before slicing into 1/2 inch slices. Place your cut slices flat on your baking sheets and bake for 5-10 minutes on one side (until lightly browned) before flipping and baking on the other side for 5-10 minutes. Leave to cool before serving or storing in an airtight container or jar. These cookies will keep for up to a 10 days in an airtight container at room temperature - you can also decorate them with a chocolate drizzle or dip them in chocolate if you fancy - or just leave them as is! *These are just lightly sweet, however, if you like things sweeter feel free to use 1/3-1/2 cup sugar. **We tend to use Icon Food's Simply Egg Whites for recipes like these so we don't have to find ways to use up the yolks! But tell me, have you ever made biscotti? And what's your favourite treat to enjoy with a cup of coffee/tea/hot chocolate? Haha, I've never had biscotti...or no, I probably have, but not in years! I need to make some vegan/gf soon! 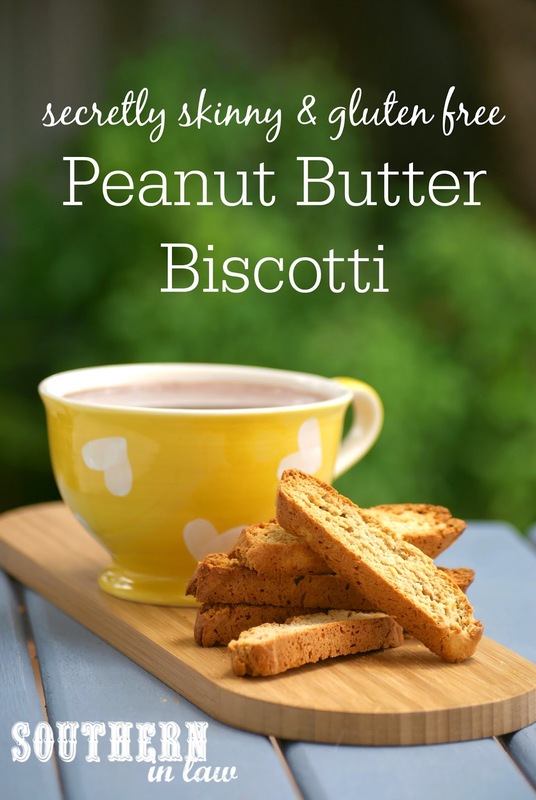 You need to get onto biscotti making STAT!